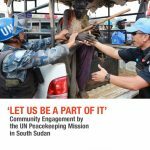 Community engagement has been recognized in a number of key peacekeeping reviews and policy documents as a crucial part of protecting civilians. The United Nations Organization Stabilization Mission in the Democratic Republic of Congo (MONUSCO) has often been at the forefront in developing new community engagement tools, many of which have been adopted by other UN peacekeeping operations and embedded into UN policies and guidance that apply to all peacekeeping operations with mandates to protect civilians. 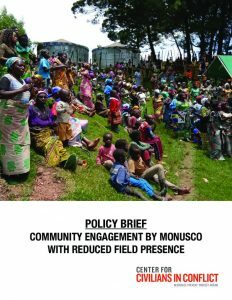 MONUSCO continues to employ a variety of engagement tools and practices that contribute to its mandated goals of protection and stabilization, and that offer good practices and lessons learned, particularly in the context of more mobile and flexible peacekeeping operations and resource constraints. 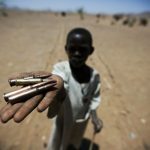 Over the last year, MONUSCO has experienced cuts to both its budget and troops. 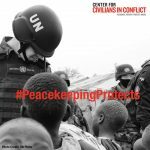 To continue responding to threats with fewer resources, MONUSCO is reducing its static presence in many areas of the country and shifting to a model called “protection through projection.” The new approach aims to deliver protection through more mobile operations. 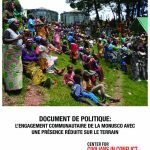 Increasingly flexible operations may have some advantages and MONUSCO’s civilian sections are attempting to adapt their engagement tools to function within a more mobile operational model. However, this new mission posture will make it challenging for the Mission to maintain some of the good practices that it has developed to engage communities.